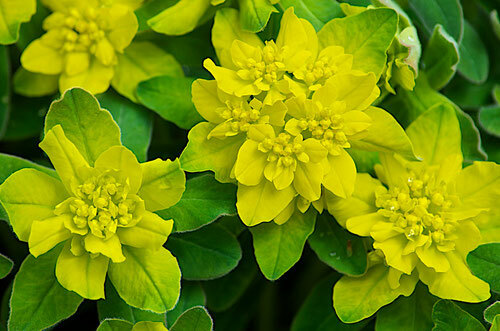 The yellow flowers of Cushion Spurge - (Euphorbia epithymoides). (N) Designates a plant Native to Northeastern North America. 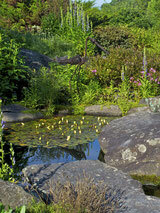 This means that, as far as can be determined, the plant was present in the Northeast before European settlement. (T) Designates a plant Native to Distant Hill that was transplanted from our woods. (S) Designates a plant Native to Distant Hill that was grow from seed obtaoned from a specimen on the property.